The SFI Research Professorship Programme runs on rolling call basis. Expressions of Interest may be submitted by Eligible Research Bodies at any time. 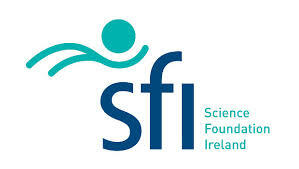 Attracting outstanding research talent to Ireland is one of the principal ambitions of SFI. The recruitment of iconic scientists and engineers will build the national research base and enhance Ireland’s reputation as a centre of excellence for research. The SFI Research Professorship Programme is intended to support national strategic priorities by assisting research bodies in the recruitment of world-leading researchers for Professorial Chairs, or similar research leadership positions in targeted scientific areas in all areas covered by SFI’s legal remit. The programme may also act as a mechanism to support the recruitment of individuals who possess a strong industry background, as well as for directorship roles in established research centres within eligible research bodies in Ireland. Given the outstanding nature of the individuals this programme is intended to support, submission of Full Proposals will be by invitation only following an expression of interest phase during which SFI will work closely with the research body. Funding of up to €5M (direct costs) will be provided to each successful applicant for a five-year programme of work. The purpose of the Research Professorship Programme is to recruit iconic global research and leadership talent to Ireland to build the national research and enterprise base, and enhance Ireland’s reputation as a centre of excellence for research. The ambitions of the appointed SFI Research Professor will be consistent with the strategic plans of the host research body. Hold a full professorial position, or equivalent, at a major international research university or a senior managerial position in industry. Senior authorship of a considerable volume of papers that have made a significant impact in their field (i.e. are highly cited). Recipient of significant international awards and fellowships. Invited plenary speaker at top-tier international conferences.  Distinguished service record on national or international grant review boards. Successful track record in securing independent funding from competitive publically funded sources and/or through private investment (typically in excess of €5M). Applicants from industry should demonstrate equivalent measures of esteem (e.g. serving on corporate boards, receipt of industry awards or fellowships). A successful track record in technology transfer, technology commercialisation and academic-industrial collaborations, where appropriate, is also highly desirable.